Some things cannot be simplified. As the world constantly changes, our taste buds become more dignified. Everything begins to take on an artistic form, from the clothes we wear to the food we eat. No one understands this as well as the team behind fine dining Indian restaurant Nadodi. With Southern Indian influences in their extraordinarily artistic approach to food, Nadodi is quickly becoming one of the most creative fine dining restaurants in KL. 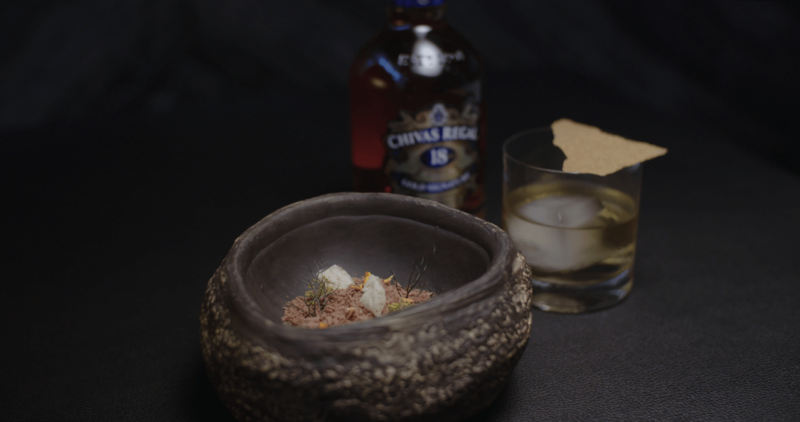 With that said, we would have never imagined what they would be cooking up with the Chivas Regal 18 whisky. Blended with 85 multiple flavours in one bottle, the Chivas Regal 18 whisky was most certainly not born out of sheer simplicity. The complex spirit is velvety in texture with hints of dark chocolate and lingering aromas of dried fruit and buttery toffee. Dipping into memories of growing up in Southern India, Nadodi’s mixologist Akshar Chalwadi creates a unique cocktail with essences of biscuit and coffee that goes so well with the chocolaty, buttery aromas of the Chivas Regal 18. Meanwhile, head chef Sricharan Venkatesh chooses to merge two harmonious flavours of whisky and vanilla into an exquisite-looking dessert that belies its extreme flavour. In the video below, the leading team behind Nadodi’s kitchen — Venkatesh and Chalwadi — create interesting concoctions out of the Chivas Regal 18 whisky using the sheer creativity and artistry that Nadodi is so well-known for.